torrey pines state reserve, la jolla, california. 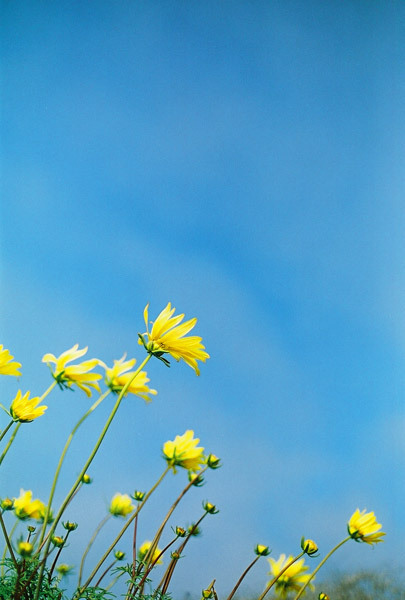 yellow flowers standing out of the blue background. your compositions are always pleasing. simple but pleasing. i like this photo a lot.